Let’s talk for a moment about what a show starring just Luigi would be like. It would definitely cover what it’s like to live in the shadow of your more popular brother. It would probably also cover living in a haunted mansion, but that’s beside the point. I don’t think he would go there until a few episodes in. What it would really be like is him resenting his brother and being all sarcastic and snippy to him. Bring me Daria Luigi. I need this. 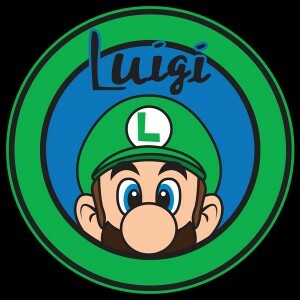 Wrap this cloth around your torso to join the movement to make a Luigi show.